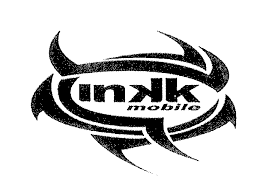 The Men-in-Black showed their seriousness about winning the INKK Mobile BOG after they came from behind to beat the Jetsetters in the extra spell. entertaining first semi-final had a lot in store for the fans of both districts as the players on the field did not disappoint and gave their all. The first spell was evenly matched as the teams took a more cautious approach and kept things pretty tight in midfield. Nadi midfielder Munit Krishna who played the man of the match performance scored the first goal of the encounter in the 57th minute after Vodafone Fiji U20 rep Ravnit Chand made an untimely mistake- failing to control a through pass in the middle and letting Krishna to steal the ball away. Krishna raced into the box and placed it between the legs of the goalkeeper Nairube to put the Nadi up. Ba coach Ronil Kumar made some technical changes mid-way in the second spell with Malakai Rakula replacing Waqa and Junior Narendra Rao with Ravnit Chand. The changes proved effective as both players got on the score-board and played very well in their respective positions. 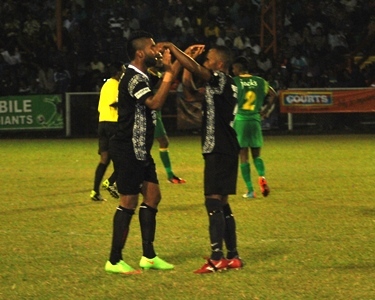 Junior Narendra Rao scored the equaliser in the 87th minute after a blunder by Nadi defense which allowed Rao to capitalise on the opportunity and place the ball to the right of a stunned Nadi goalie Vereti Dickson and level the match to force the teams to plat extra time. The first spell of the extra time ended without any goals and in the 5th minute of the second extra spell nippy Ba utility Meli Codro was chopped from behind by Iliesa Lino inside the penalty box and match referee Dina Mani Mudaliar did not hesitate to award Ba a penalty. Rakula stood up to take the spot kick and without any mistake gave the Men-in Black the much needed goal and a spot in the grand finale. Nadi president Navneeda Goundar said it was tough match and my boys played well. “Hat’s off to my players as they played really well and gave Ba a good fight but few mistakes cost us and better team won. Ba defender Alvin Singh thanked the vocal Ba crowd for coming in numbers and supporting the team. “I thank all the fans who came here and supported us which made us not to lose hope and played till the final whistle. In the second semi-final tonight Group B winners Suva and Group A runners up Rewa will clash in the second semi-final in Nausori at 7pm and the winner will play Ba in grand finale on Sunday at Ratu Cakobau Park in Nausori at 3pm..